The Maldives are a tiny nation with a fragile environment and a fragile democracy. The effects of global warming on the Maldives could create a volatile situation within the country. Rising sea levels threaten the country's tourism-dependent economy and the very existence of the country. In addition, the country’s president Maumoon Abdul Gayoom has dominated the country’s political scene for nearly 30 years. Gayoom is also head of all Islamic institutions in the Maldives. Over the past few years the country has been hit with anti-Gayoom protests. A prison riot resulted in the death of three inmates and spilled out into violent protests in the country. Although Gayoom has promised reforms towards a more open democracy, the reforms have been slow. With global warming and rising sea levels threatening not only the economy, but the entire country’s existence, protests against Gayoom could again flair up into violence. The Maldives are comprised of nearly 1,200 islands and atolls in the Indian Ocean. The combined land mass of all the islands is 115 square miles--approximately twice the size of Washington, DC. Climate change and rising sea levels are of great concern to the Maldives, which is only 8 feet above sea level at its highest point. As global warming causes the polar ice caps melt and sea levels to rise, the Maldives' entire existence is in jeopardy. In 1987, unusually high tides swept over the country and inundated the capital city, Male'. The Asian tsunami of December 26, 2004 killed 82 people, displaced an additional 12,000 and caused extensive damage to the country's important tourism industry. The tsunami inflicted $375 million in overall damages, $100 million of which included damages to resorts. As a result, the Maldives' GDP contracted by 3.6 percent in 2005. However, most losses to the resorts were covered by insurance and quickly rebuilt, which helped spur the significant rebound in the Maldives' tourism industry. The sea also plays an important role in the Maldives' economy. Fishing and fish processing is the second largest industry. Due to the low-lying nature of the Maldives, farming is not possible. Maldivians rely on the fishing industry to supply most of their food; imports account for the remainder. Pollution and over fishing are major concerns to the fishing industry. Additionally, the country has engaged in sand dredging and coral mining (for building materials and jewelry) until recently. These activities have been extremely destructive to the sea surrounding the Maldives and have been curtailed in recent years. In the long run, climate change will threaten the entire country's existence. The highest point in the Maldives is only 8 feet above sea level. The Intergovernmental Panel on Climate Change (IPCC) estimates that average global sea levels will rise by between 0.09m and 0.37m (3.5 to 14.6 inches). Along with rising sea levels, increased beach erosion, more powerful storms, higher storm surges, and threats to biodiversity are among the major threatens to the Maldives due to climate change over the coming decades. Additionally, the IPCC estimates that global warming will result in warmer winters in the northern regions of Europe and North America. Milder winters in those areas could also lead to a decline in tourism in the Maldives as residents of Europe and North America no longer travel to the Maldives to escape the harsh winters. A turning point in the Maldives' struggle for democracy came on September 19, 2003. As many as 12 guards in the Maafushi Jail beat Eevan Naseem to death for insisting that his basic rights be respected. The following day, riots broke out in the jail as fellow prisoners learned of the Naseem's death. Guards and Police opened fire on the prisoners, shooting 19 inmates and killing three. News of the shooting led to protests and the torching of police and government buildings around the country. Shortly thereafter, the Maldivian Democratic Party (MDP) was created in exile in Sri Lanka. Despite Gayoom's introduction of a democratic reform agenda in June 2004, the protests continued. The government also continued arresting protestors and claims of police brutality continued. In particular, an August 2004 demonstration in Male' turned violent and resulted in the declaration of a state of emergency and the arrest of a large number of protestors. Despite the arrests, reform candidates performed strongly in parliamentary elections held in January 2005. At the time, opposition parties were still illegal, so the reform candidates ran as independents. 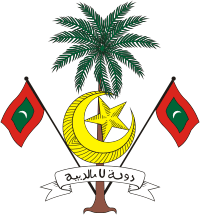 In June 2005, the Majlis unanimously voted to legalize opposition parties. And in March 2006, the Maldivian government introduced a "Roadmap for Reform" along with several reform bills introduced into the parliament. However, the Parliament had not acted upon any of the reform legislation as of January 2007. Democratic reforms in the Maldives are still a delicate process. After several positive steps taken by the Maldivian government to release opposition leaders and dissidents, the Maldives acceded to the International Covenant on Civil and Rights. However, the government renewed its repressive measures against the opposition by banning opposition rallies and arresting more than 100 opposition activists. Amnesty International scolded the Maldives over the treatment of the detained opposition activists, which included reports of beatings and other ill-treatment, restrictions on access to lawyers, medical treatment, and the detainees' families. 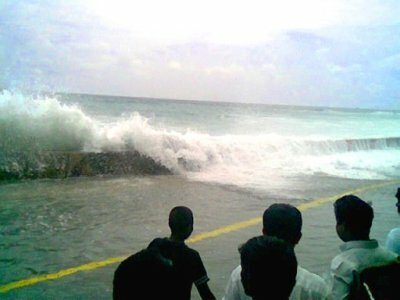 The 1987 high tides and the 2004 tsunami illustrate that climate change is already affecting the Maldives. Much of the country's economy relies on beautiful beaches and scenery--all things that would be affected by rising sea levels, increased beach erosion, and stronger storms. Additionally, although the country's president is loosening his grip on the country and allowing opposition parties and groups, these new democratic freedoms could be severely curtailed if climate change drastically affects the Maldives' economy. Heavily polluting nations, the government of the Maldives led by President Maumoon Abdul Gayoom, and protestors seeking a more transparent democracy within the Maldives. All of the islands of the Maldives are extremely sensitive to rising ocean levels. Indeed, the country's highest point is only two meters above sea level. Human-induced global warming is causing glaciers and polar ice caps to melt, leading to a rise in ocean levels. If ocean levels rose enough, the entire country could disappear under water. Rising ocean levels threaten the entire existence of the Maldives. In turn, the ocean threatens the habitat of every human, plant, and land animal in the country. Humans could be easily relocated to other neighboring countries, but preventing bio-diversity and species loss would be difficult. Cataloging each animal and plant in the country would be costly and time-consuming. Furthermore, introducing those plants and animals to a new ecosystem could also be problematic and upset the natural balance of that ecosystem. The newly-introduced plants and animals could become invasive or the domestic plants and animals could eradicate those "rescued" from the sinking Maldives. Pollution from countries around the world leads to an increase of the global mean temperature. Rising temperatures lead to increased melting of glaciers and polar ice caps, which lead to rising ocean levels. Global warming and rising sea levels directly threaten the existence of the Maldives and plants and animals living on the islands. 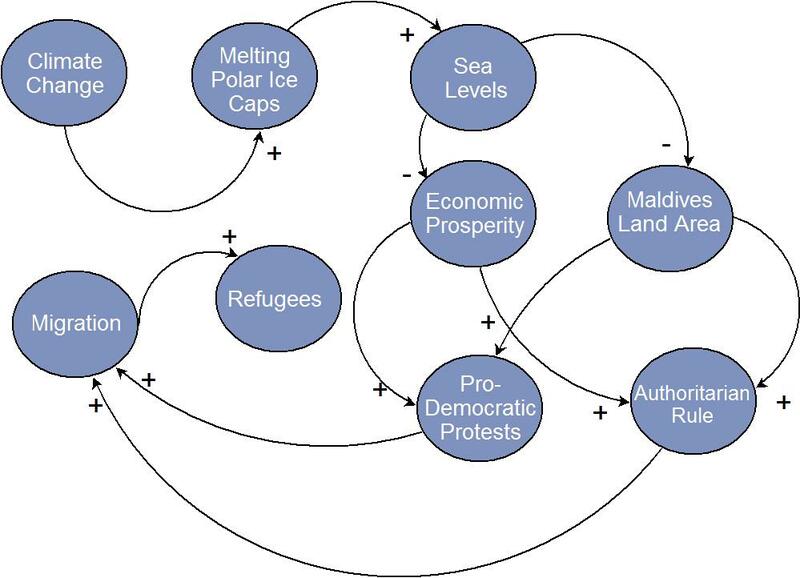 The loss of the Maldives due to global warming could create civil conflict. Ultimately, that conflict could spread to other countries as refugees are forced to flee the islands. At the moment, the level of conflict is extremely low. It has been several years since the last violent clashes between protestors and the government. The government has instituted several reforms (albeit slowly) and is showing some movement towards a more democratic society. Unfortunately, due to the small nature of the Maldives and its previous conflict, no data are currently available from traditional databases, such as the Correlates of War. However, the potential for conflict will increase as the ocean levels around the Maldives increase and the country’s leaders revert to their history of authoritarian rule. Furthermore, the level of international conflict could rise in the future. Will a country that is threatened or destroyed by global warming demand that compensation for its loss? 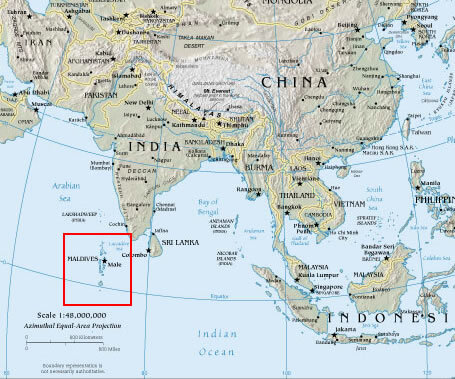 Would the Maldives try to claim Washington, DC—which is roughly the same size as the Maldives’ territory—as compensation for the United States’ role in contributing to global warming? Currently, the fatality level of the possible dispute is zero because no Maldivians have died in conflict due to global warming. Several people (less than 10) died in past protests against the government and approximately 100 died or are missing and presumed dead in the 2004 tsunami. It is possible that global warming and future conflict could claim all 300,000 residents of the Maldives through civil war that could break out as the sea levels rise, land becomes scarce, and the economy of the Maldives starts to fall apart. However, this upper estimate seems unlikely because many residents would likely choose to leave the Maldives rather than stay with the rising waters. As climate change raises the world temperature, the polar ice caps will melt and raise sea levels around the world. Within the Maldives, the country's land area will start to disappear. Additionally, the rising sea levels will threaten the beachfront resorts that so much of the country's economy depends on. As the Maldives turn into a chain of sinking islands with no economy, the country's rulers may seek to increase their authoritarian rule over the islands. At the same time, the pro-democratic forces on the islands may increase their protests and opposition to the authoritarian regime. Both these actions will cause the residents of the Maldives to flee to higher ground. Most likely, many Maldivians will become refugees in India, Sri Lanka, and other nearby countries. Climate Change and rising ocean levels is an issue that will affect the entire world. At the same time, the dispute has the potential to become a multilateral issue. As the rising ocean levels threaten the Maldives, the country’s residents will be forced to move to other countries, such as India or Sri Lanka. Any conflict within the Maldives could be transferred to these countries. Additionally, it is possible that the Maldives would seek to be compensated by polluting countries for the loss of their islands. However it is unclear whether the Maldives would seek new sovereign territory elsewhere. Additionally, it is unclear whether the Maldives would seek that territory in neighboring countries, or elsewhere, such as in countries that contributed to the climate change in the first place, such as the United States or China. At this point, it is too early to determine how this possible conflict may develop. The following are other cases in the ICE and TED databases that have similar characteristics to this case study. Case No. 165- Tsunami-Aceh -- The effect of the 2004 Asian tsunami on the efforts to reconcile a conflict between the Indonesian government and the rebels of the Free Aceh Movement. Case No.184 - Tsunami-Thailand -- The effect of the 2004 Asian tsunami on the Muslim-dominated fishing industry of southern and western Thailand. Case No.160 - Katrina -- The effects and aftermath of Hurricane Katrina that struck the low-lying city of New Orleans on August 29, 2005. Case No.185 - Northwest-passage -- Due to global warming, the Canadian government is experiencing new challenges from multiple national governments, especially the United States, concerning the feasibility of international travel through the Northwest Passage. Case No. 94 - Vineland -- Warming climate conditions a millennia ago allowed the Vikings to travel to North America. When they arrived there, they found that the land was populated by people who both traded with them and went to war. However, combination of changing climate and hostile receptions forced the Vikings out of North America. Case No. 209 - Haiti-Hurricane -- Exploitation of Haiti's resources by its colonial rulers, combined with climate change creating stronger hurricanes is plunging Haiti further into poverty forcing thousands to flee. This is leading to increased conflict between the Haitian refugees and the residents of their new, adoptive countries. Case No. 210 - Tuvalu -- Thanks to climate change, rising sea levels are threatening the small, South Pacific nation of Tuvalu. Case No. 212 - Dutch-Sea -- Half the territory of the Netherlands--and an eighth of its population--lies more than 1 meter below sea level. Rising sea levels due to climate change could drastically impact the Netherlands, leading to social and economic devastation. Although none of these cases directly involve the Maldives likely due to the unique nature of the Maldives and climate changes' effects on the country, they do provide helpful background information on drawing conclusions on the various components of possible conflict in the Maldives. There will be many issues at play if rising water levels lead to economic disaster and civil unrest in the Maldives. The Cauvery case study illustrates how conflict may erupt over water, a situation Maldivians may face as sources of fresh water are reduced or eliminated due to climate change and/or civil conflict. The Jayamine case study provides helpful information on what future human rights abuses in the Maldives may look like. The Tsumami-Thailand provides another investigation on the 2004 Asian tsunami's destruction throughout the Asian region. "Waiving or Drowning," The Economist, December 19, 2006, Vol. 381, Iss. 8509, p. 97.